You are currently browsing articles tagged e book. I have just published a 2012 revised version of The E-Book Handbook, now available on my website, Amazon, Barnes and Noble, and Apple iTunes (the iTunes version may not be revised for several weeks based on their publishing time-frames). See this page or click the cover below to learn more about the guide and links to the various retail sites. Revisions include an explanation of how to use Calibre to convert to your book to epub or mobi formats in case your Word document upload to Amazon or Barnes and Noble fails, explanations of new Amazon KDP features, revised information on my sales experiences and stats on the major retail sites, modified cover image size and resolution info to use for various sites and formats, copyright issues and Internet piracy, and some information on the new Apple iBooks Author software app. If you are interested in creating, formatting, and publishing your own e-book, be sure to check out The E-Book Handbook! 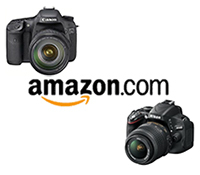 Cyber Monday Camera Guide Sale! On Cyber Monday, November 28, 2011 only, I will be offering a coupon code for $5 off the price of most of my PDF camera guides. Any guide on the Full Stop website with the current price of $10.99 will be available for $5.99 (with the coupon code). That’s almost 50% off! In order to get the savings, use coupon code fsmonday5 when making your purchase. Click on the “Check out with PayPal” button in order to enter the coupon code. Don’t worry, you can check out with either a credit card or PayPal when using that button. The coupon code will be valid all day Monday Nov. 28, 2011, until 11:59pm Eastern Time. It was recently announced that the Harry Potter books will finally be made available in e-book versions, and offered in an arrangement with Google Books. While this option will provide e-book formats for virtually every e-reader out there, I find this choice for the e-book platform incredibly disappointing due to Google’s unfavorable treatment of all other, independent e-book publishers. Google Books has, by far, the worse royalty rates of any major site. They assure you the author receives the majority of revenues. Yes: 52% and a whopping $100 minimum payout. Amazon and Barnes and Noble offer 70% and 65% royalties respectively, and a small minimum payout amount, if any. Google also gives authors no control over previews and by default display an excessive 20% of your content. The 20% will be the first 20% (plus front and back covers). For some e-books, it may serve to get the reader interested and they will be compelled to purchase the entire book. But for other types, this may show too much important content that you don’t wish to share for free. And the real kicker: although Google Previews provides purchasing links to your e-book listing on your website, Amazon, Barnes and Noble, and others, you have no control over these links other than your own, and unfortunately they probably won’t work. As Google explains, they convert your 13 digit ISBN to a 10 digit ISBN, and then use that to locate your book on the retail sites. But Amazon and Barnes and Noble use unique identifiers anyway and not either ISBN, so your book is not correctly linked to. Although the issue is known by Google, they choose to not fix it nor manually correct the links. With other cooperative and responsive major retailers available, this is one more reason that I choose not to use Google Previews and Google eBooks (beyond research purposes for writing my latest e-book). Learn more about how to create, publish, market and sell an e-book with my e-book about e-books, called The E-Book Handbook. I came across an e-book service that promises to distribute your e-book to 25 stores, all for a reasonable price of under $50. While that is a great price for that service due to the time and careful effort that must be put into the process of uploading and entering information to several sites, you should also know that you can do it yourself, in an evening, for free. 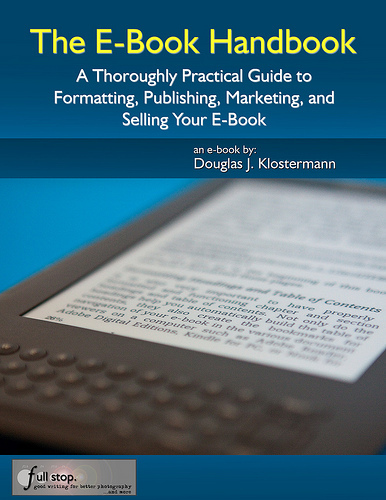 My new e-book guide to creating, publishing, marketing, and selling e-books called The E-Book Handbook explains exactly how to publish yourself to all the same sites. One doesn’t actually have to individually upload the text and info to 25 sites, but rather to just a few and then they distribute your e-book to the other sites. Once your e-book is complete and properly formatted for the various sites and e-readers like the Kindle and Nook, this publishing process merely involves typing in all your info, adding a description that you will use for all the sites, and uploading your cover and e-book document. It is a simple step-by-step process that the publishing sites all walk you through pretty well, especially Amazon’s KDP and Barnes and Noble’s PubIt (now Nook Press). But there are a few additional steps and some follow through, such as getting into Smashword’s Premium Catalog, that you need to be aware of. And knowing to use Amazon’s Author Central to turn your unformatted e-book description into a nicer formatted description is an example of one of the important tips you might not realize (and that you can learn about in my e-book!). But don’t be mislead into thinking that getting into 25 stores will exponentially increase your sales and you will become an instant e-book success. Your goal may be to sell a reasonable 5 books per month at most of the sites for a total of over 100 a month, but the reality is: all your sales are likely to come from 3 sites, and most of them in the US. While Smashwords distributes your book to Diesel and Sony, plus to several sites for Kobo and Apple in multiple countries, you will likely achieve few-to-no sales on 80% of those sites. Hey look, its the 80-20 rule! The Pareto principle – 80% of your results come from 20% of your effort. This turns out to be exactly true with e-book sales, according to my experience. The E-Book Handbook – Now Available! My latest e-book, The E-Book Handbook, is now available! The E-Book Handbook – A Thoroughly Practical Guide to Formatting, Publishing, Marketing, and Selling Your E-Book is a comprehensive guide that will help you create, publish, and market your own e-book, and sell it online through Amazon, Barnes and Noble, and Apple iTunes and iBooks – all easily and inexpensively. It explains how to properly format and convert your text for PDF, tablet, and e-reader versions (such as the Kindle and Nook), create interactive bookmarks and table of contents, and include a book cover and images. It includes step-by-step instructions for easily uploading and selling your e-book on major retail websites including Amazon through Kindle Direct Publishing, Barnes and Noble through PubIt!, and Apple’s iBooks and iTunes through Smashwords, plus setting up the e-book’s descriptions and author pages – all at no cost. And it describes how to set up and automate sales and digital delivery from your own website and blog using reliable, low-cost services like E-Junkie and PayPal. This instant download e-book explains multiple ways to market your e-book to increase sales, including detailed instructions for setting up a website and blog, marketing through various channels on the Internet, optimizing search engine results so that your e-book and sites are found, and monetizing your website and blog through advertising and affiliate programs. The E-Book Handbook also explains how to keep track of and evaluate sales, income, and expenses and offers a detailed spreadsheet to record and monitor this information. Throughout the text, the guide contains links to every website and retailer discussed, as well as comprehensive lists in the Appendixes. The E-Book Handbook will provide you with the knowledge and tools to successfully create, publish, market, and sell your own e-book. It includes tips and straightforward information from the author’s experiences as a best-selling e-book writer and publisher, in order to make the process as low-cost and efficient as possible. The E-Book Handbook is a 112 page, illustrated PDF document that can help turn you into an e-book author and publisher. This PDF e-book can be read on your computer and printed on your printer, or transferred and read on an iPad, Android, or other tablet, Kindle, Nook, or other e-reader. Doug Klostermann is a travel, culture, and humanitarian photographer and successful, best-selling e-book author and publisher. He has sold over 4,000 e-book camera guides which are regularly at or near the top of the Kindle and Amazon bestseller lists for Photography Equipment and Reference. Doug has photographed for numerous organizations in Latin America and the United States, been recognized by the United Nations Development Programme for his humanitarian photography, and been published in magazines and books including Conde Nast Traveler, Sherman’s Travel, South American Explorer, and Viva Travel Guides. Doug is a member of the National Press Photographers Association. View his images at www.dojoklo.com. Learn more about e-books and photography equipment and techniques on his blog Picturing Change at http://blog.dojoklo.com/. Not only do they like to read, but they like to know the facts: Cambridge, Mass.–home to the prestigious Harvard University and Massachusetts Institute of Technology–also topped the list of cities that ordered the most nonfiction books. Alexandria, Va., residents must be reading a lot of bedtime stories – they topped the list of the city that orders the most children’s books. (micro)STOCK: From Passion to Paycheck by Nicole S. Young is a jam-packed guide to producing, managing, and marketing your photographs for digital distribution on the micro-stock market. There is a lot more to stock photography than uploading a bunch of pictures and hoping for the best. Nicole shares her industry experience and knowledge to help you better navigate the rules, procedures, and best practices to creating quality, useful imagery for the micro-stock market. She explains how to build and deliver on a successful portfolio concept, takes the mystery out of the different types of stock, like rights-managed (RM) and royalty-free (RF), and shares the ins/outs of licensing and releases. And it doesn’t stop there! She interviews four successful stock photographers and illustrates how others are making the big bucks online. If you’re looking to grow your revenue through digital sales then building a successful micro-stock business is a great way to do it! Nicole S. Young is a full-time photographer and author specializing in commercial stock photography. She’s is an accredited Adobe Certified Expert (ACE) in Photoshop CS5 and is a Help Desk Specialist with the National Association of Photoshop Professionals. She is also the author of two print books Canon 7D: From Snapshots to Great Shots and Canon 60D: From Snapshots to Great Shots. (micro)STOCK: From Passion to Paycheck is available now as a downloadable PDF for just $5USD here. For the first five days only, if you use the promotional code MICRO4 when you checkout, you can have the PDF version of (micro)STOCK for only $4 OR use the code MICRO20 to get 20% off when you buy 5 or more PDF ebooks from the Craft & Vision collection. These codes expire at 11:59pm PST June 11, 2011. Thanks to all those who have read my eBooks, and who hopefully are making use of them to learn to take control of your dSLR and take better photos. 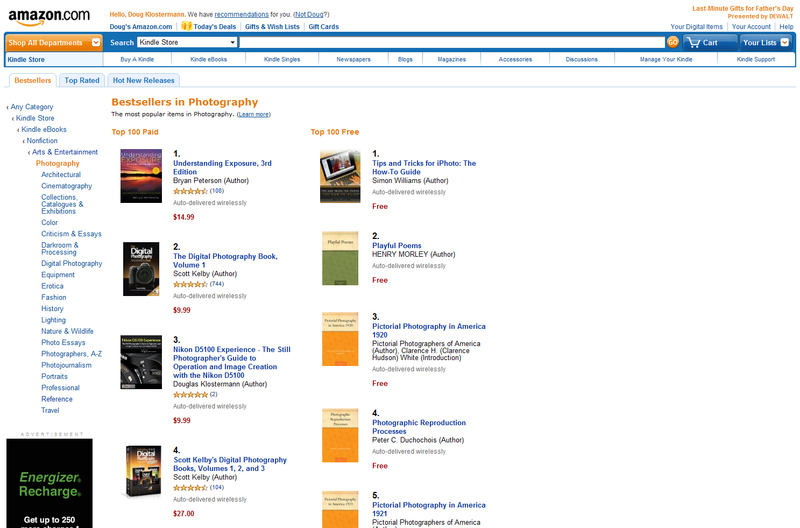 As a result of your interest, two of my dSLR guides are now in the top five bestselling Photography Reference books in the Amazon Kindle store! OK, so the rankings change hourly, so that may not last, but I’m thrilled at the moment! If you are interested in any of my ebook guides to the Nikon D7000, Canon 60D, or Canon T2i and would like to learn more about them please have a look at the PDF versions on my Full Stop eBook website HERE, the Kindle versions on Amazon HERE, and the Nook versions on Barnes and Noble HERE.